Cream Puffs got me through a lot of guest dinners. They look so amazing, they taste so good, and they are really easy to make. So give it a try, and have fun. Remove from heat, beat in eggs, all at one time, continue beating and beating until smooth. Drop dough by Tablespoons 3” apart onto UNGREASED baking sheet. Bake 35 – 40 minutes or until puffed and golden. Cool away from drafts. Cut off tops, pull out filaments of dough inside. When ready to serve, fill with Creme Chantilly, put the top on, and drizzle chocolate syrup over top and down the sides. Gorgeous! Whip the whipping cream until just stiff, quickly fold in the powdered sugar and vanilla extract. Mix together cocoa powder and butter, and melt over low heat. Remove from heat and stir in 1 cup powdered sugar and 1 Tablespoon hot water. Beat until smooth. Only add more hot water if it is too thick; needs to be “drizzle-able”. 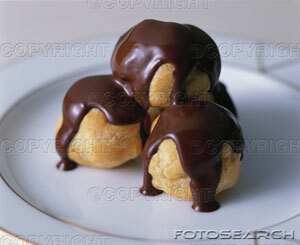 Profiteroles are very small cream puffs, just smaller balls, same dough, cooked, covered with the same chocolate syrup. 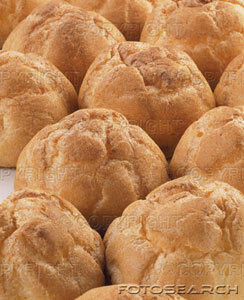 Instead of serving one cream puff, you serve maybe six small profiteroles. We love Syria. I used to take trips around Syria with a group of archaeologists; we stayed weird places and saw the most remote and obscure places just to see them, just to see what we could see. It was so much fun; Syria is so beautiful. We most often went there in winter, and I remember how COLD it could be, even into April. We requested visas weeks ago. No visas. This week we got a state department advisory saying travel in Syria was not advisable because of the embassy incident that happened in September 2006 – like over a year ago. Yeh, right. It couldn’t be that travel there is riskier because of the recent Israeli incursion? Adventure Man suggested maybe we go to Paris, thinking Paris would make it all better. Then Morocco, knowing I also love Morocco. I am thinking maybe Larnaca, maybe Salalah, maybe Beirut. There is a part of me that is still hoping the visas will come through and I don’t want to commit to anything else. Aaaarrrrrgggghhhhhhhh!